ParsData Review 2019: Is ParsData a Good Hosting? Founded by Mehrdad Javidan, ParsData is an Iranian hosting company that offers a range of Linux and Windows hosting packages, dedicated servers, and agency hosting solutions in addition to domain registration and storage services. ParsData has been registering domains and providing web hosting services, dedicated servers, and colocation hosting to customers in Iran and Canada since 2001. In addition to hosting websites, ParsData also provides software development solutions and data center services to customers in Iran and Persia. The website is available in Arabic, French, German, Russian, and English. No customer in their right mind would want to host their website on slow or unreliable servers. ParsData operates load-balanced and reliable server infrastructure with redundant hardware and network connections. Local servers are in Tehran while others are in Canada. Customers have the freedom to choose whether they’d like to host their websites on local servers or international ones. Servers, ports, and protocol are monitored round the clock to ensure they function properly. Security-wise, there are many positives too. Besides securing its servers with DDoS protection, ParsData also provides customers with reliable software and hardware security tools including a firewall to bolster their security level. There are also onsite technicians and security experts who monitor and deal with security issues before they cascade to the website level. Most of us love getting free things, so we tend to gravitate towards hosting providers who offer free hosting or free marketing credits. ParsData isn’t far off in this regard. When you sign up with them, you get free domain registration, free domain parking, and free domain forwarding for one year in addition to free SMS over the internet, something which many hosts don’t provide to customers. The Iranian Rial has been on a free fall for some time now and that’s reflected in ParsData’s prices. Despite this fact, hosting prices are well within the market range when you convert them into dollars. The minimum ordering period is three months, though they have monthly and annual plans. All of their hosting packages are backed with a one-week warranty, which is not great, considering many hosting services offer at least a one-month trial. If the testimonials on the website are something to go by, ParsData appears to have a nice group of employees committed to helping customers get the most out of their hosting accounts. Their response time is average and they’re accessible via online chat, email, ticketing, and telephone. 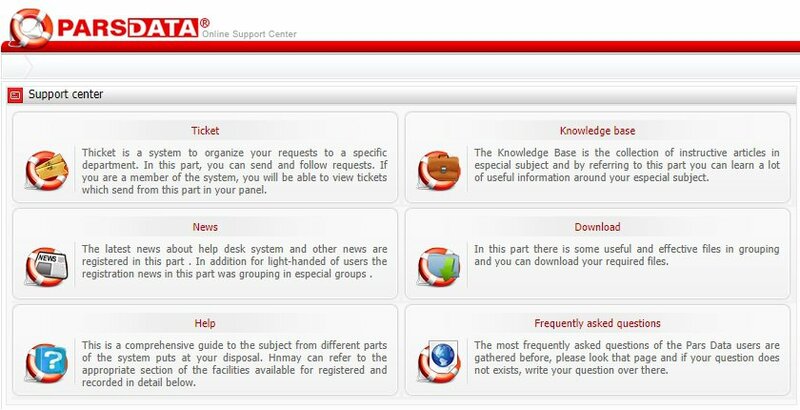 In addition, they have a good support center comprised of help guides, an FAQ section, and presentation articles, which may come in handy when troubleshooting hosting account issues. With a number of affordable hosting plans and reliable support, ParsData can help put your business on the map in Iran and beyond. 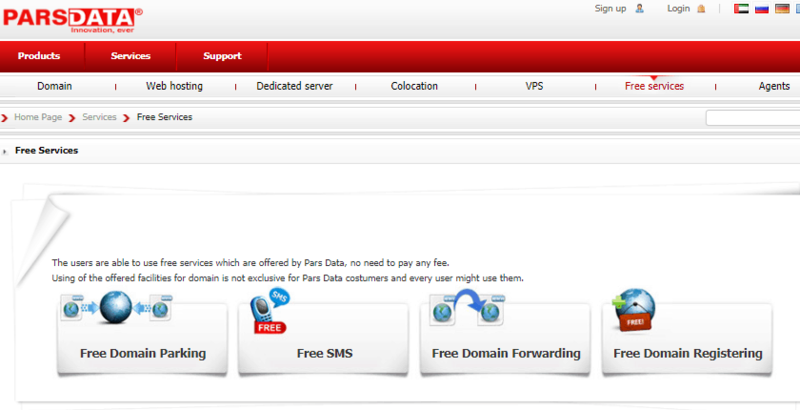 Join ParsData and Get a Free Domain! Wondering how ParsData stacks up against other Web Hosting companies? Enter any other Web Hosting company and we will give you a side-by-side comparison.